The European Investment Bank (EIB) agreed with the Ukrainian Government on a series of new financing operations, in particular, the sides signed an agreement on lending EUR 50 million to finance transport infrastructure improvements throughout the country and a grant of EUR 10 million to finance the implementation of the Ukraine Higher Education Project, the bank has said in a press release. "The projects signed today will result in faster and safer transport infrastructure, better academic facilities and more resources for higher education programmes, all of which will strengthen the country’s competitiveness," the press service of the bank reported on Monday, citing EIB Vice-President Vazil Hudák. The EUR 50 million EIB loan to improve connectivity in Ukraine and in the Eastern Neighbourhood provides support for transport projects expected to have significant positive local impacts. Road safety, connectivity, and traffic management and control projects are under consideration, with a view to contributing to the economic development of Ukraine. The project's first phase will focus on the development of intelligent transport system on national roads, the construction of a missing section of the northern by-pass around the city of Ternopil forming part of the extended TEN-T (Trans-European Transport Networks), and a number of multi-level railway crossings. Furthermore, the project will support the development of future investment in railway connections between the European Union and Ukraine. "The project is backed by a EUR 14 million EU grant for the Ternopil bypass investment and a EUR 1.85 million EU grant for project preparation and implementation. Both grants are being provided under the Neighbourhood Investment Platform (NIP)," the bank said. Ukraine and the EIB also signed the EUR 10 million grant agreement under the multi-donor E5P fund that supports municipal investments in energy-efficiency and environmental projects in the Eastern Partnership countries. "The grant will help finance the implementation of a Ukraine Higher Education Project, which the EIB is already supporting. Furthermore, the EIB concluded a Memorandum of Understanding with the Ukrainian Ministry of Education and Science for the preparation of a project to create several centres of excellence in the country," the bank said. The Ukraine Higher Education Project has already received a EUR 120 million loan from the EIB and EUR 30 million from Nordic Environment Finance Corporation (NEFCO), the EIB said. The grant will be used to finance, in particular, seven universities in the cities of Chernihiv, Kharkiv, Kyiv, Lviv, Poltava, Sumy and Vinnitsa in order to significantly reduce the energy consumption of their buildings with positive environmental impacts. The project is also supported by a EUR 3 million EU grant from the Neighbourhood Investment Facility (NIF) to assist implementation arrangements, the bank said. 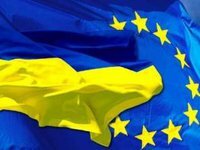 According to the report, the agreements were signed at the EU-Ukraine Association Council meeting held in Brussels on Monday.